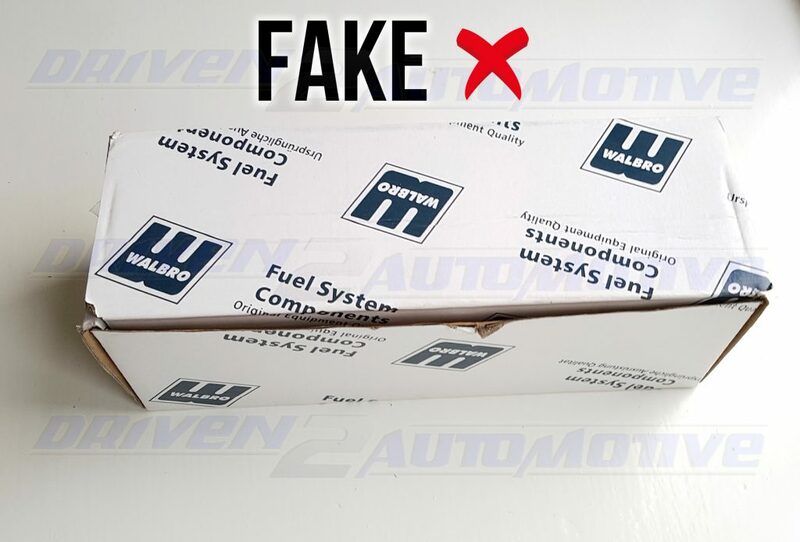 You asked for it so we’ve given it, finally a comprehensive guide on how to spot fake Walbro ‘255’ GSS342’s. 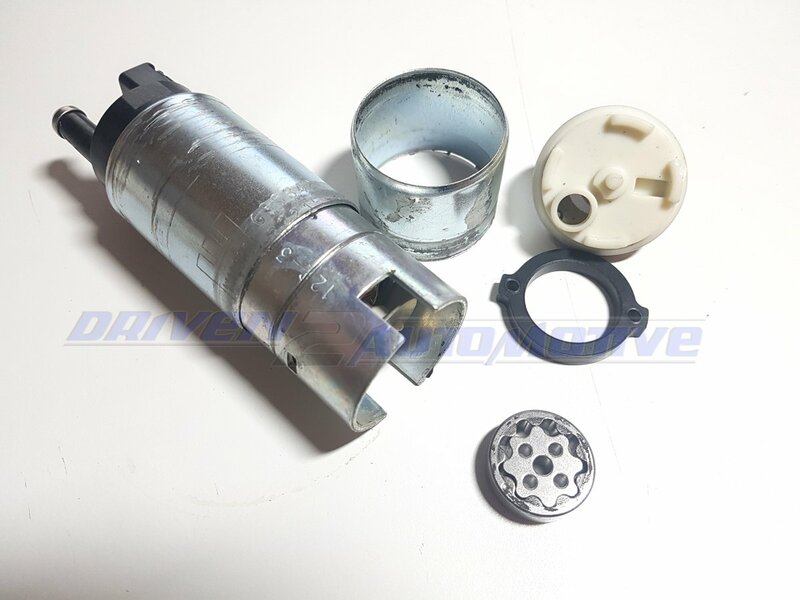 Anyone who’s ever heard of a ‘Walbro GSS342 / 255lph’ fuel pump will most certainly know just how popular they are. 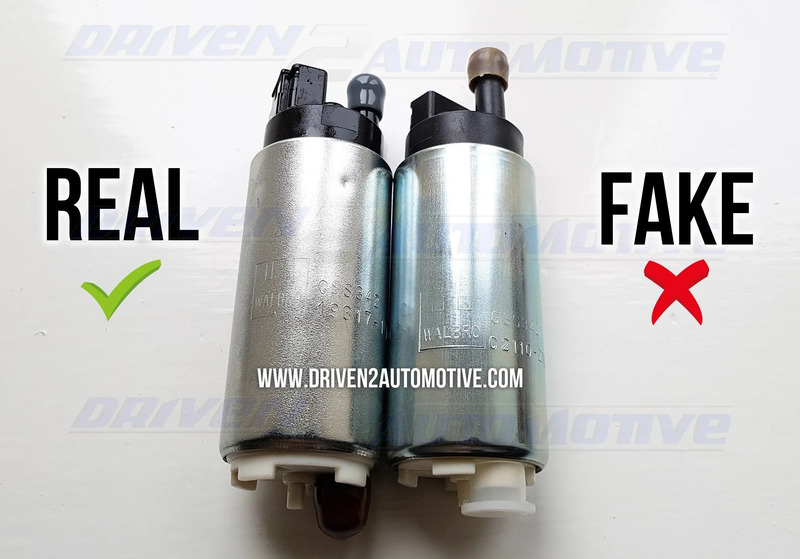 Indeed it seems they’re a synonym to fuel pump / fuel delivery everywhere, with orders flying off our shelves to every corner of the globe. 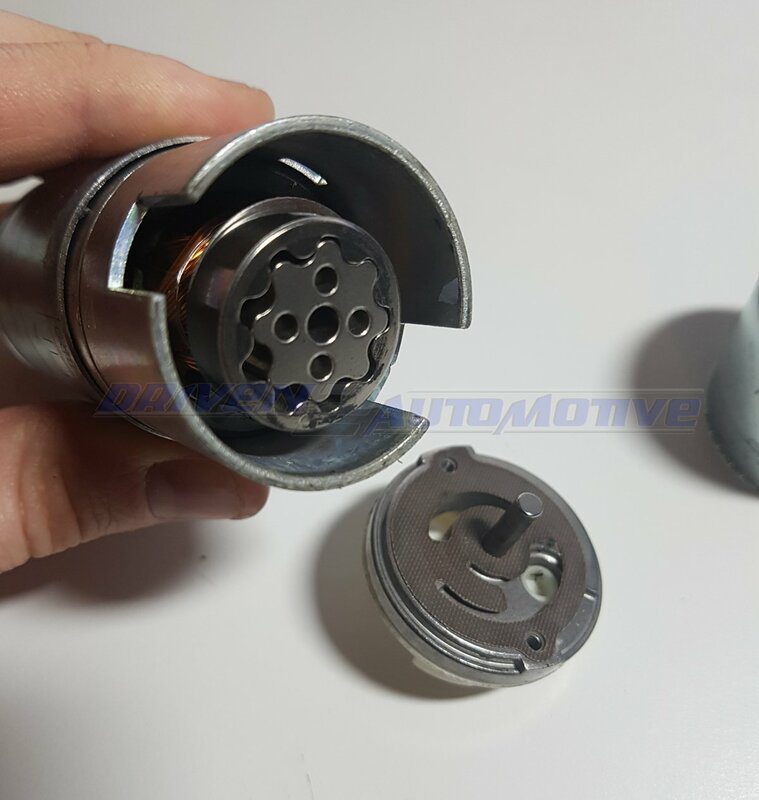 However, with so much confusion online regarding which ones are the ‘truly genuine’ product, we’ve decided to help and solve all myths and mysteries that are circulating around regarding this powerful, yet tiny pump. 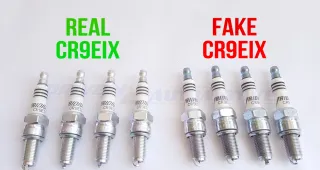 Check out our other ‘how to spot fakes’ guides if you’re interested, including how to spot fake NGK Iridium IX and Denso Iridium Power spark plugs. 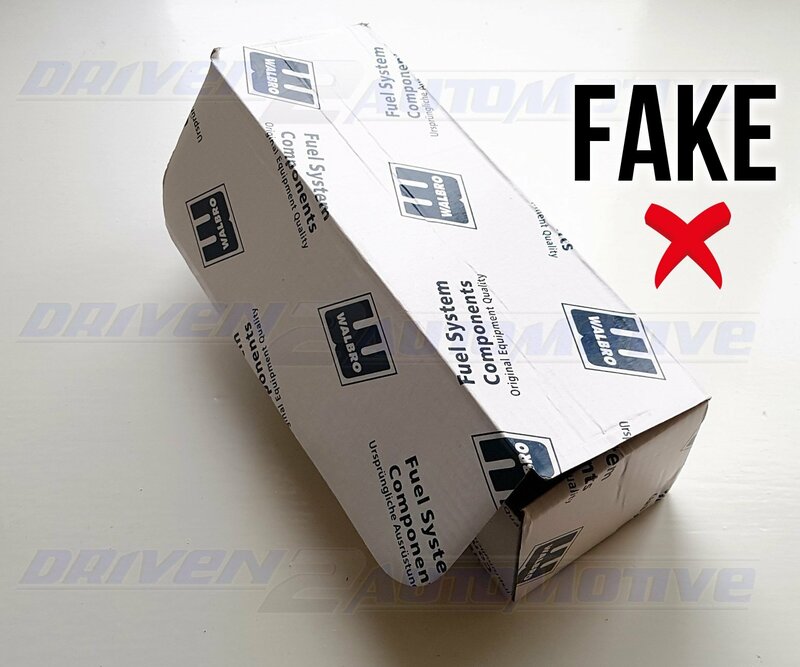 To make things clear, we went ‘under the radar’ and bought in a suspect ‘GSS342’ pump that was advertised on a very popular auction site as ‘completely genuine’ which included a Walbro branded box. The thing is this rang alarm bells straight away because here at Driven 2 Automotive we supply the truly genuine Walbro / TI Automotive GSS342 fuel pump and know full well that new units which are provided by Walbro / TI Automotive USA are not supplied in branded boxes of any description. The next give away was obviously the price where it’s listed at just below the average going rate of real 342’s. 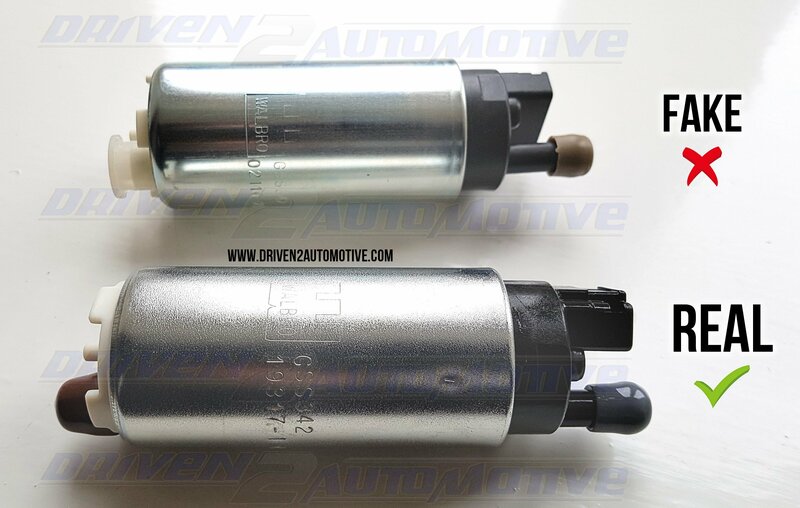 Then it just got better and better once we put them side by side, take a look and share this post to all fellow automotive / tuning enthusiasts. 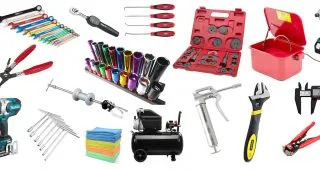 If you want to be sure you’re buying genuine, buy from us in our secure UK based online shop here. Click photo’s to view extra large. 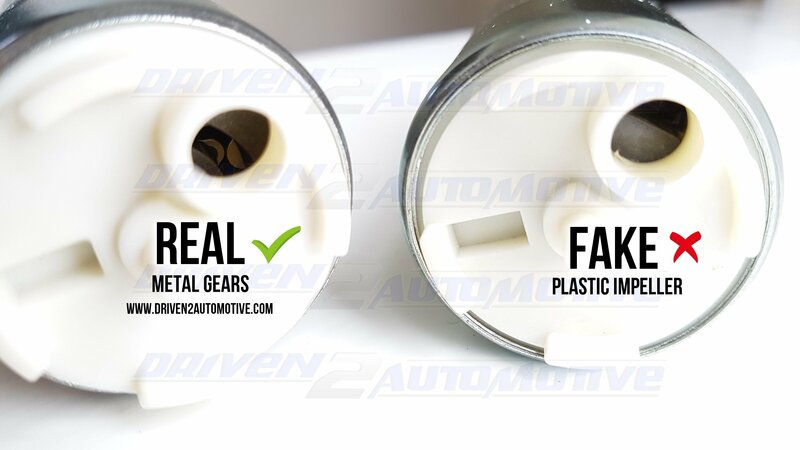 As already stated, to our best knowledge and experience with the real thing, genuine 342’s are not supplied in branded boxes of any description. The genuine pump comes in an unsealed bag with the pump covered in mineral spirit to help stop corrosion forming. 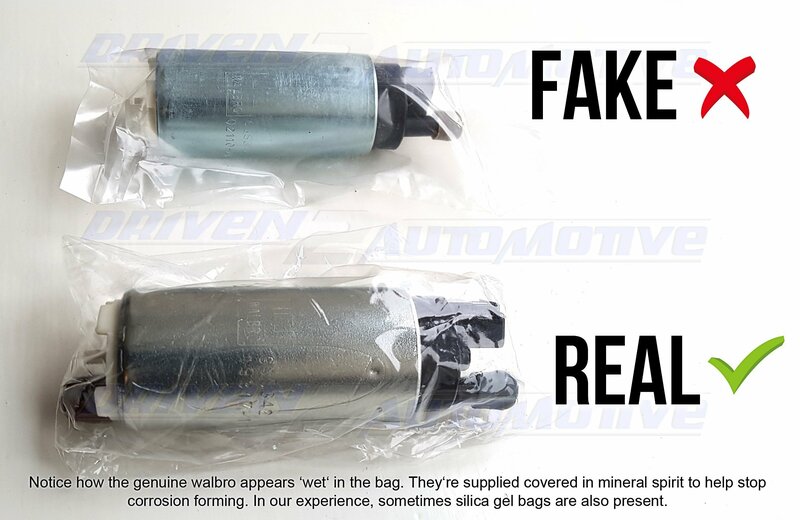 Walbro also uses this fluid to flow test their pumps to make sure they’re working to full spec, whereas the fake is in a sealed bag with no treatments and has most likely been untested. 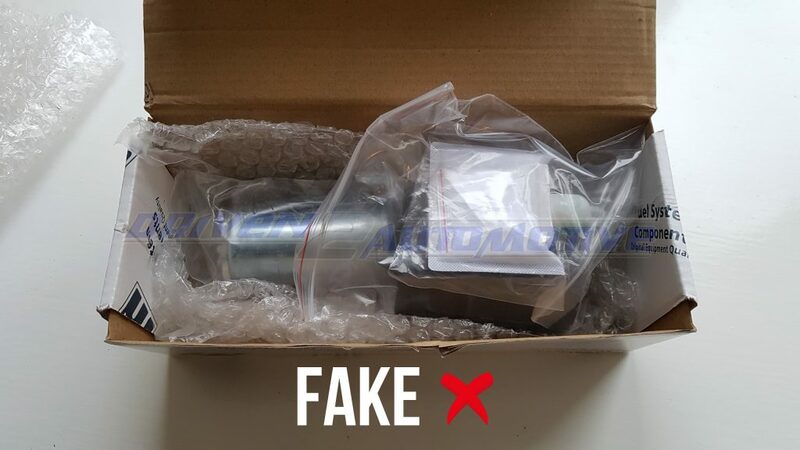 The following photos provide proof of just how bad the fake pump we received is. The fake 342’s Walbro logo hasn’t even been stamped with a hydraulic Press. Some poor person has used a hammer on a metal stamp, where they’ve obviously not hit it ‘straight and true’, resulting in a fading, unfinished effect! The fake 342’s Walbro logo is also completely wrong, with no ^ notch in the bottom line, the stamping font and dimensions are different too. 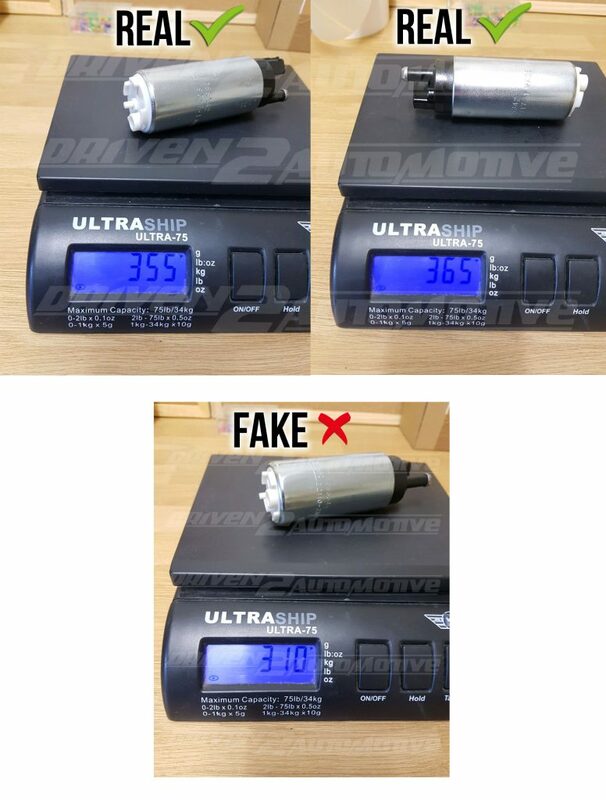 The weight is a crucial factor the counterfeit pump can’t hide from, so we weighed three identical genuine GSS342’s to get an average guideline figure. Our scales showed two pumps were 365g and the other was 355g, so there’s possibly just more mineral spirit that’s been left inside two of them. The fake pump weighed in at just 310g so that’s quite a significant difference and a clear sign the design is different inside. 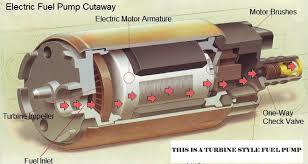 The real pumps heavier thanks to the gerotor metal gear system instead of a plastic impeller design. 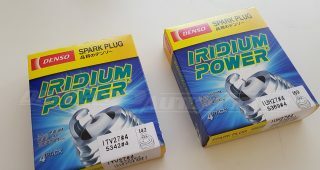 Use 355 grams to 365 grams as a guide, but also note these measurements were taken without the inlet and outlet caps fitted. 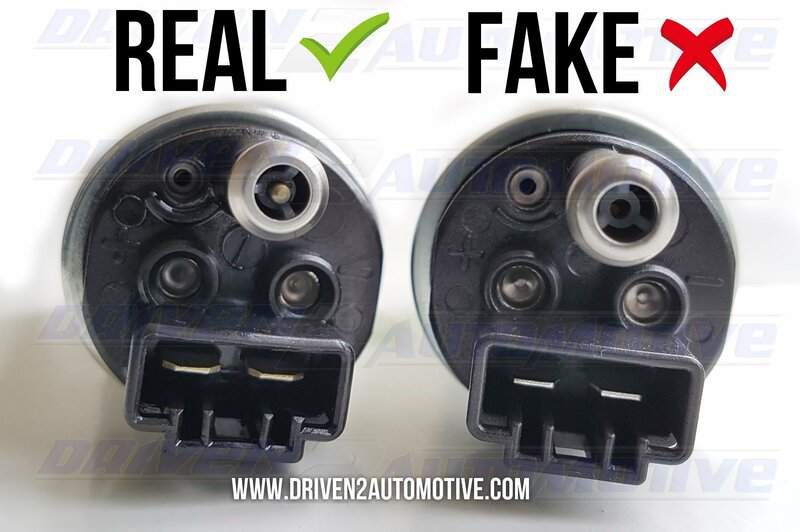 If you suspect your pump is fake but its appearance is different to the one in our photo’s, you can use the real weight in our photo’s as a guideline. 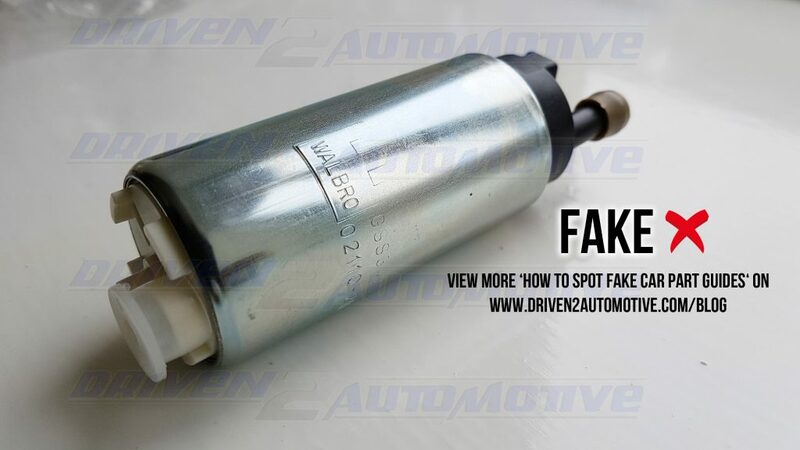 The genuine GSS342 features high quality ‘gerotor‘ style internal metal gears, the fake uses a plastic impeller. The fake we received has quality issues with bits of loose plastic evident in the inlet hole – A unique way to make your new fake ‘Walbro’ fail immediately! Various other differences are seen between the two. 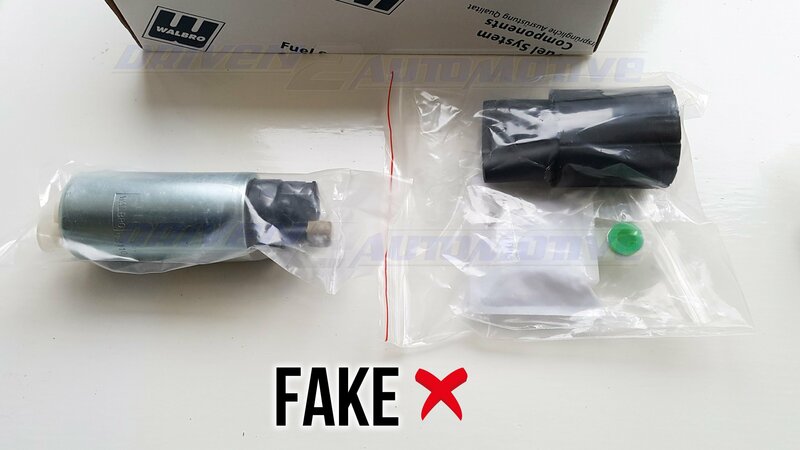 Worried your pump that was purchased elsewhere is fake? 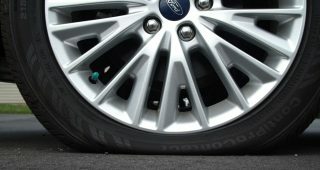 Hopefully this guide will put you at ease, saving your engine from fuel starvation and running into lean conditions. 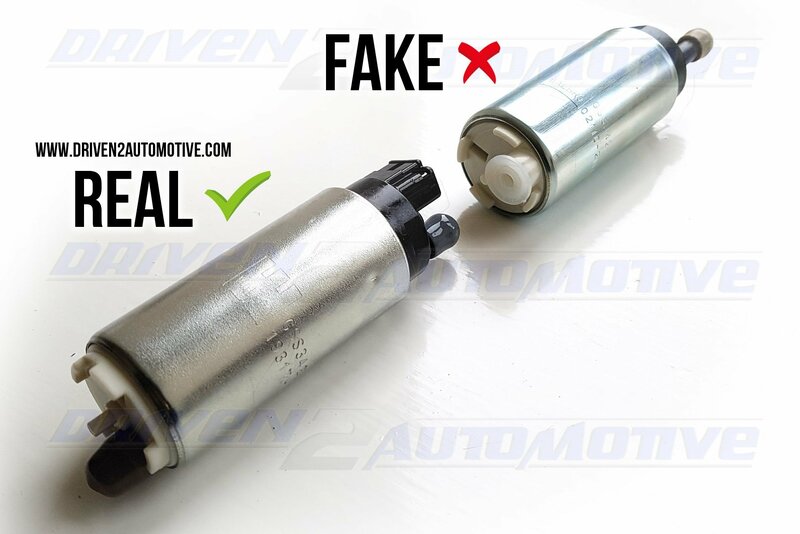 If you want to be sure you’re buying genuine, return the suspect pump and purchase from us using the link below. 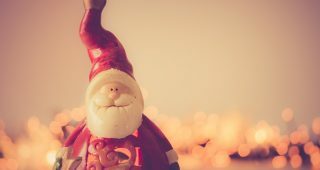 Best Regards and a Merry Christmas from the detectives at Driven 2 Automotive. 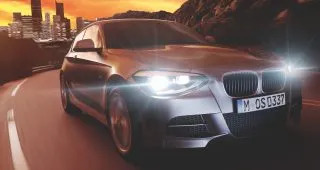 Why Do My Headlight Bulbs Keep Blowing?! 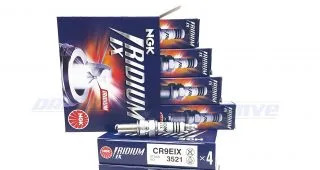 Buy NGK CR9EIX (3521) Iridium IX Spark Plugs Here at Wholesale Price! 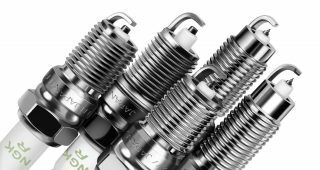 NGK Wholesale Spark Plugs – Buy Here & Save £££! I get your desire to alert us to fake products. But using the term ‘gerotor’ to describe a turbine pump does lead one to question your authority to speak on the subject of fuel pumps. Hello Charlie, it seems you’re mistaken. 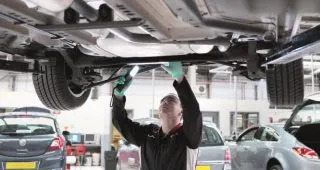 Here’s a genuine GSS342 returned back from warranty inspection with a clear gerotor system incorporated.